A season pass at Vail Resorts includes more than just access to the mountains for skiing and snowboarding. It also involves considerable perks this summer. In the Lake Tahoe area, Vail Resorts operates Heavenly Mountain, Northstar California and Kirkwood Mountain. 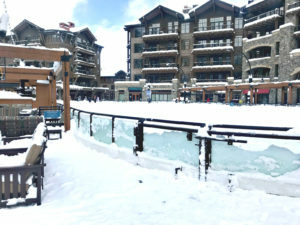 Besides offering a diverse mountain for skiers and riders, Northstar California has a wonderful village for post-skiing. Complimentary scenic lift rides and lift-served hiking at Northstar California: Besides the Tahoe resorts, this also applies to all Vail Resorts locations – Vail, Beaver Creek, Breckenridge and Keystone in Colorado; Park City Mountain in Utah; Whistler Blackcomb in Canada, and Stowe in Vermont). $20 off Northstar California’s Mountain Bike Season Pass. Complimentary scenic gondola rides at Heavenly Mountain Resort. Discounted Activity Pass at Heavenly Mountain Resort’s Epic Discovery. Complimentary champagne toast pouring and beverage at a Northstar California wedding. Non-alcoholic options or replacements are available (such as passed appetizers). 20% off lodging at Northstar, Heavenly and Kirkwood: This applies to all Vail Resorts locations. 15% off food and non-alcoholic beverages after 2 p.m.at the following locations: Heavenly – Heavenly Donuts, Café Blue, Tamarack, Fresh Squeezed, Mountain Munchies. Northstar – Martis Valley Grille, Tavern 6330, Downhill Grill, Frites, Starbucks; Kirkwood – Kirkwood Inn, General Store and Deli. Below are details regarding the Epic Pass and the Tahoe Local Pass. Tahoe Local Pass ($569 adult $459 Teen $289 child): The 2018-19 Tahoe Local Pass includes unlimited skiing or riding at Heavenly, Northstar and Kirkwood 7 days a week, with limited holiday restrictions. The pass also includes five holiday restricted days at Vail, Beaver Creek, Breckenridge, Keystone, Park City and Arapahoe Basin with access to the advanced lift ticket rate at Whistler Blackcomb and Stowe.